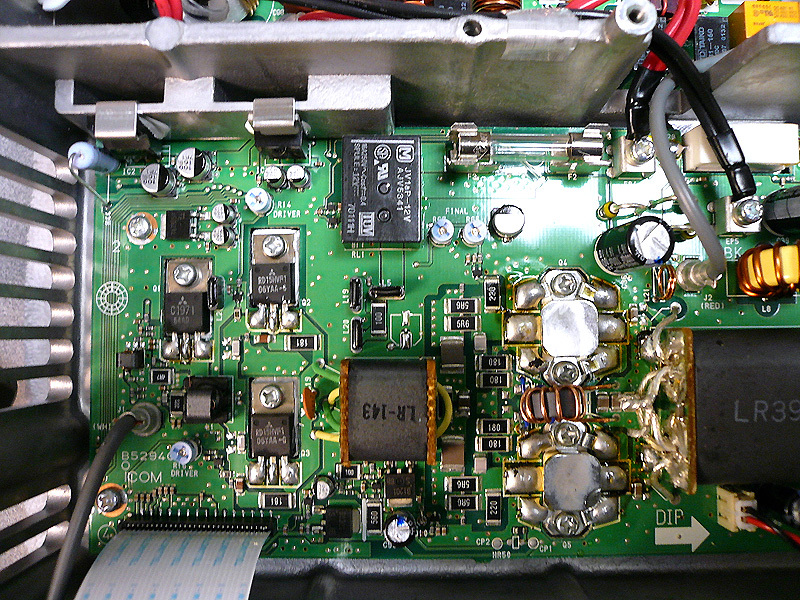 In Fig.1, the two RD100HHF MOSFET output devices can be seen between the input (centre) and output (right) transformers. 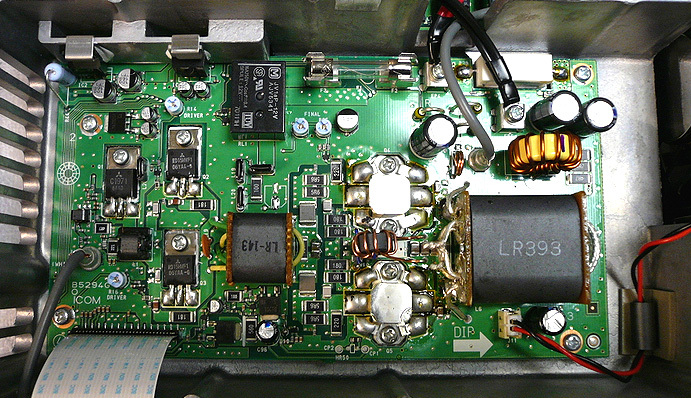 The pair of RD15HFV1 drivers are located to the left of the input transformer, and the 2SC1971 BJT pre-driver to the left of the drivers. 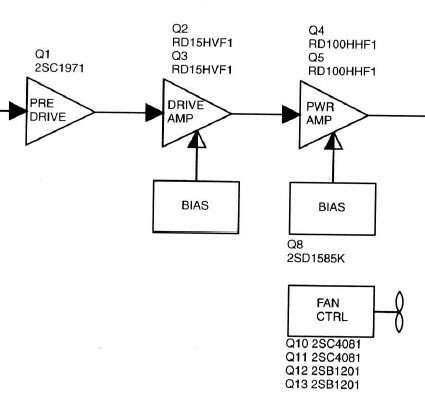 All these transistors are Mitsubishi parts. Fig.2 shows the complete PA Unit board, mounted in the PA compartment. 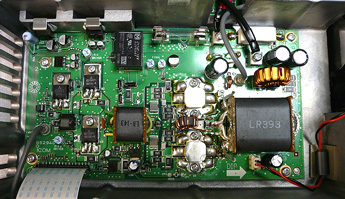 Fig.1: Top view of PA Unit. Click for larger image. Fig. 2: PA compartment. Click for larger image. Copyright © 2007-2018, G. Buhyoff K2UM. 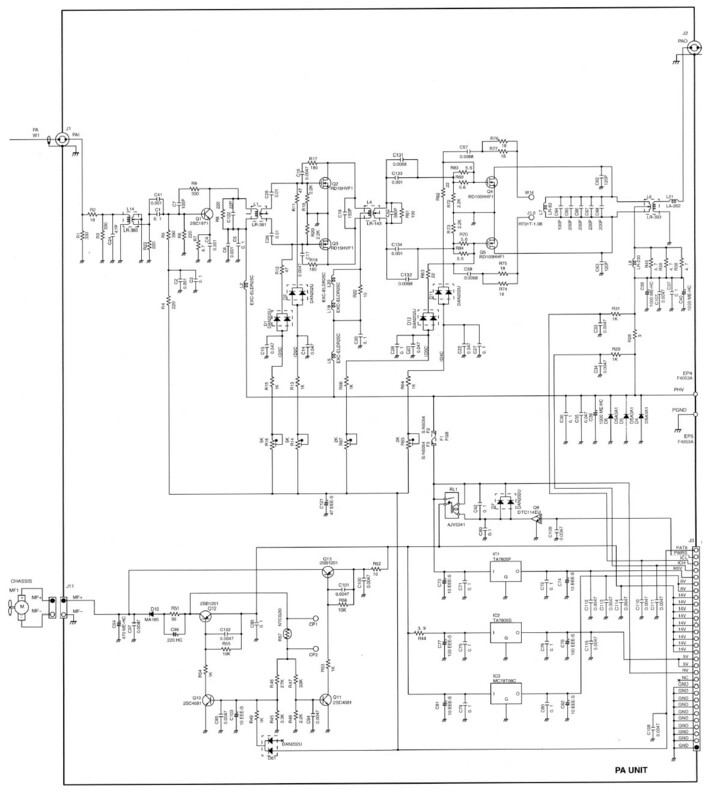 Page creation: A. Farson VA7OJ/AB4OJ. All rights reserved. Last revised: 06/16/18.